Our office is a participating preferred provider for all PPO and indemnity insurances. Because we are an in-network dental office, your dental benefits will go further in terms of getting your treatment done. More dental procedures for a lot less money and out of pocket cost. Now that is a happy thought for any dental patients. We are a preffered provider for Delta Dental, Metlife, Aetna, Cigna, Blue Cross/Blue Shield, Principal, United Concordia, Humana, Ameritas, and so many more dental insurances. Chances are whatever indemnity or PPO dental insurance you have, we accept them and is a preferred participating provider. Look no further for a more fitting office that will accommodate all your dental needs and accept your insurance. We have a general dentist that is adept and well versed in wide ranging disciplines from extractions, to dentures, partials, crowns, bridges, implants, cosmetic dentistry, children’s dentistry, root canals, and so many more dental procedures. If orthodontics (braces) is what you need, our experienced orthodontist can take care of that for you too. We have evening and weekend appointments for your convenience. Braces for $2899 ANY standard treatment of less than 24 months. Why pay around $5000 elsewhere? Get braces with only $99 down payment. 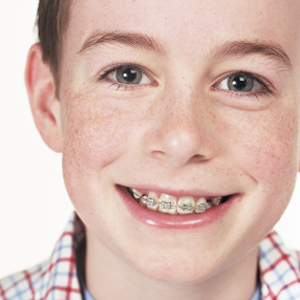 We do more braces than anyone else because of our lowest fee and most affordable payment plan.